At forty-three, Moses Vargas has already achieved what many would consider a full career’s worth. As vice president and general counsel for Connecticut Children’s Medical Center, Vargas admits he’s in danger of being relegated to the kids table at biannual meetings of fellow children’s hospital executives. “I know I’m one of the youngest, but more importantly, I’m surrounded by tons of bright and intelligent people who can teach me so much,” he says. Vargas’s continued dedication to evolving in his role is evident not only in his approach, but also by the continual expansion of his responsibilities. While overseeing legal and compliance, in-depth roles such as clinical risk management and providing business and administrative guidance to leadership have challenged Vargas to successfully balance his legal foundations with complex operational stakeholders. The general counsel’s success may also lie in his ability to manage the requirements of several, often disparate, stakeholders. Along with his more traditional legal obligations, he also oversees internal audit, which is responsible for auditing most of the organization’s departments. It’s a delicate balancing act of ensuring accuracy and compliance but not seeming like a threat to the rest of the organization. “Compliance and internal audit can be seen as invaders who are there to find problems,” Vargas says. “That’s not my philosophy. I always want to be collegial and collaborative and show people we’re here to help. We might find issues, but that’s OK.” Vargas says that working with this mind-set and in collaboration with department heads has earned compliance a trusted reputation that he aims to continue. Vargas says taking the hospital’s business interests under his purview has required widening his scope from a strictly legal perspective. “As a vice president, I have to think about business decisions that take risk on, because we can’t be a risk-averse organization,” he says. “It’s important to recognize when I have to take my legal hat off.” Vargas says that can sometimes mean moving ahead with a business decision that wouldn’t always be his first move from a risk-adverse legal position. He reiterates the importance of working closely with the executive team and understanding that everyone involved is working for the betterment of Connecticut Children’s. While business goals are always a priority, the organization also has a renewed focus on workplace safety. Vargas says he’s impressed with Connecticut Children’s commitment to issues highlighted by the #MeToo movement. “It is our responsibility to ensure that we are providing a safe environment for our employees so they feel comfortable and are able to work in a setting where they have no fear of harassment or retaliation,” Vargas says. 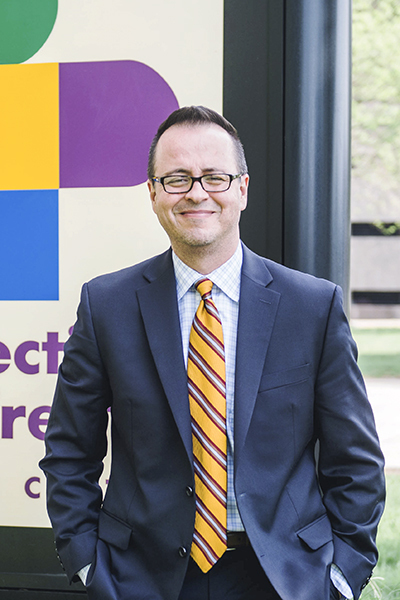 Connecticut Children’s continues to evolve its workplace training, but Vargas believes it’s imperative for leadership to take ownership of these issues and ensure that they are seen as an absolute priority for the organization.